Despite corroborating witnesses, doctors reports and a police report with allegations of a similar offense, an investigation by Democratic Party-linked attorneys has concluded that abuse claims against Congressman Keith Ellison (DFL-MN5) by his ex-girlfriend Karen Monahan can not be substantiated because she did not provide a video she claims she had of the incident. (Insert eyeroll here). Susan Ellingstad, an attorney with links to the state’s Democratic party was hired to investigate the domestic abuse allegations against Ellison put forth by Monahan and her son Austin this past summer. The so-called investigation was launched in August after claims by Monahan and her son surfaced that Ellison screamed at her for not taking out the trash, called her a bad house guest and attempted to drag her off the bed by her feet while screaming at her. 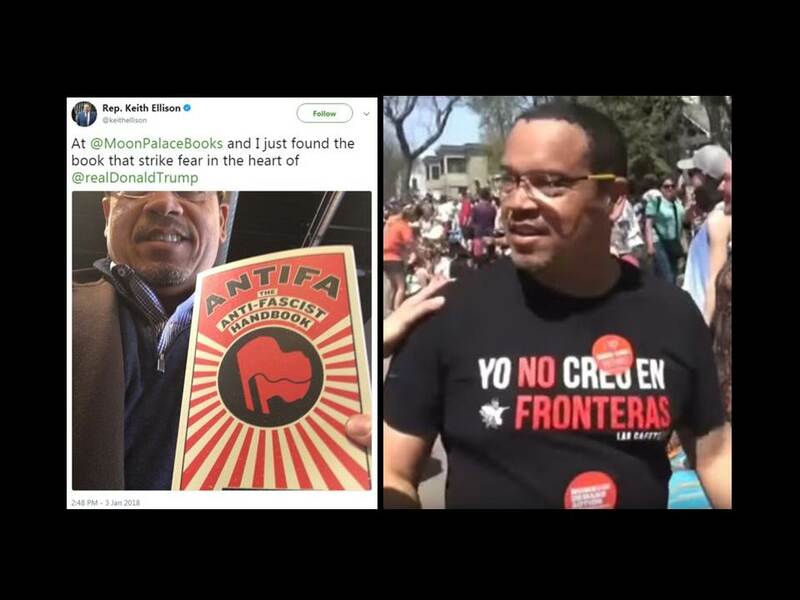 The bombshell story broke just three days before Minnesota’s August primaries, where Ellison went on to become the Democrat’s choice for Attorney General, thereby proving that Minnesota Democrats will vote for anything with a “D” after their name. Ellison will face Republican candidate Doug Wardlow in November. Monahan’s son claimed in a social media post that he saw a video of his mother being abused by Ellison on his mother’s computer. Ellison has denied the allegations. According to the St. Paul Pioneer Press, Monahan declined to turn over the video during the investigation. Despite not releasing the video, Monahan continued her pleas on Twitter, even presenting a doctor’s report from November 28, 2017 to prove that she suffered physical and verbal abuse from Ellison. 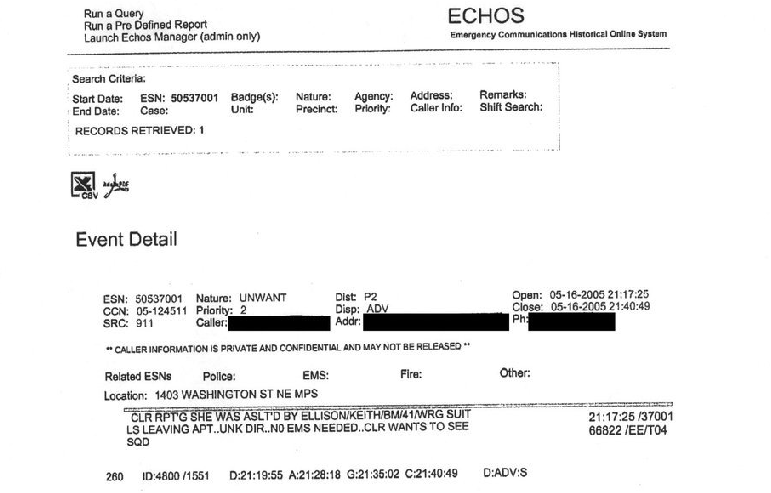 Monahan doctor’s report specifically states she suffered emotional and physical abuse from Keith Ellison and feared retribution by Ellison if she identified him. Ellingstad based her conclusion that the allegation against Ellison could not be substantiated because Monahan refused to allow her to privately view the video and both of Monahan’s sons who claimed to have seen the video declined to be interviewed for the investigation. Ellingstad is a partner at Lockridge, Grindal and Nauen, the same Minnesota law firm as the top attorney for the Minnesota Democratic-Farm-Labor (DFL) party, Charlie Nauen. Too bad we didn’t have Ellingstad investigate Christine Blasey-Ford’s flimsy 36-year-old allegation against Supreme Court nominee Brett Kavanaugh since Ellingstad said herself that a stand-alone allegation is not sufficient to conclude that the conduct occurred. Kavanaugh could have been exonerated. Blasey-Ford herself did not have a video tape of the alleged assault by Kavanaugh, but the Democrats are believing her to the point of bullying both Kavanaugh and Republicans and destroying our country in the process. Blasey-Ford doesn’t remember whose house her alleged assault happened at, doesn’t remember how she got there or how she even got home, and all the witnesses she named said under oath that they don’t remember the event, but Democrats insist she should be believed. 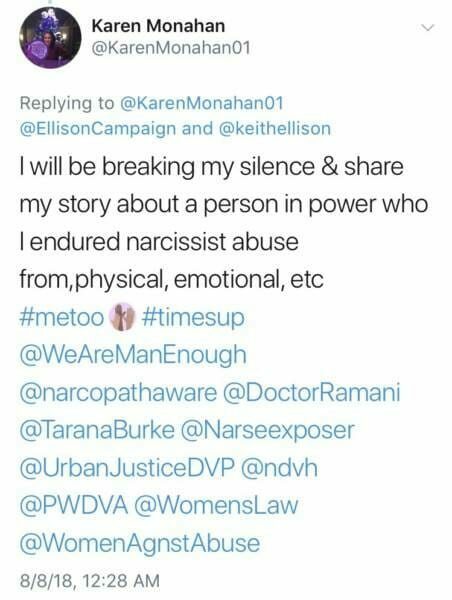 Apparently Monahan’s claims, her son’s claims, her doctor’s report and a 2005 police report by a previous girlfriend is not enough to get domestic abuse charges to stick to the oily Ellison. Yet, the Democrat-party-affiliated attorney report said Monahan’s claims can’t be substantiated. Ken Martin, chairman of the Minnesota Democratic Party said in a statement that he would forward the report to law enforcement to determine if further investigation is warranted.